Disclosure: Sponsored by Welch's Fruit Snacks. Any opinions are my own. Whenever we go for a walk as a family - we always seem to find rocks that resemble a heart. We started picking them up and collecting other ones that stood out for a long time now and we would use them around the garden. It is something I really enjoy doing as a family. We recently took it a step further. 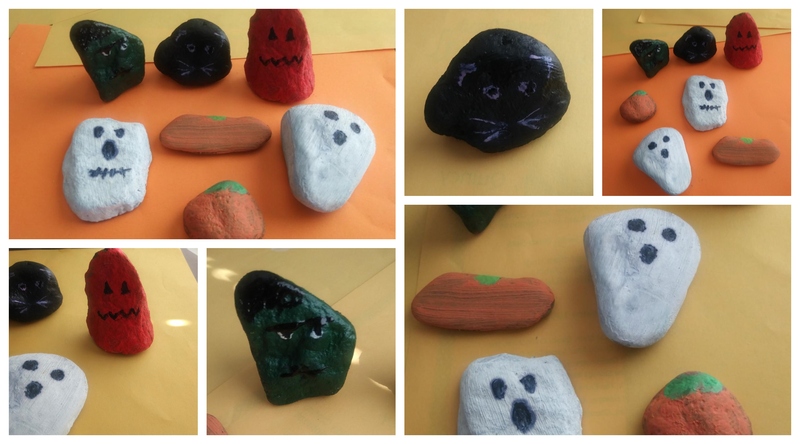 I have seen some amazing rock art. Many are very intricate and beautiful. Although we are nowhere near that good, it is such a great craft to do with kids. It is fun and easy to do! We have tried inspirational word art in the past and recently we prepared a few with a Halloween theme. It was our first attempt and I just love that it is something I can do with my daughter. We picked up a few tips that we wanted to share with you below. #1 Make sure all rocks are clean of debris and dry. #2 Choose good brushes in all sizes with straight bristles. #3 Acrylic paint works best, oil paint is good but it's hard to remove from skin and takes too long to dry, water base paint may not be as vibrant (we want to try paint markers next, I am sure they would be great for small details). #4 Allow each coat to dry for best results. #5 If possible apply a clear coat. We have not done this yet but doing so will keep the color vibrant and last longer! 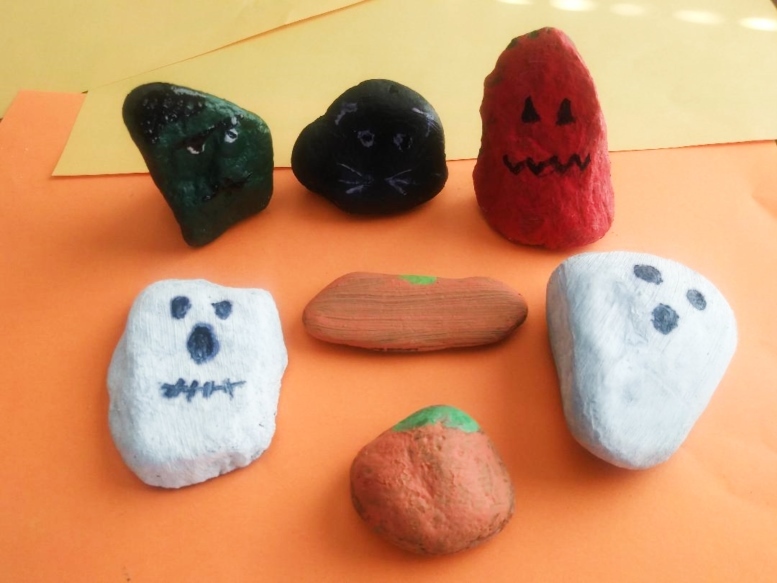 We will be placing our rocks up the stairs outside our home for trick-or-treaters to enjoy this Halloween night. Collecting rocks is half the fun. Enjoy a walk around your neighborhood or beach and grab as many as you can find. Any will do although the flat faced ones are ideal, but then again, we like the ones that sit up on their own, too! A big thank you to welchsfruitsnacks.com for sponsoring this post and giveaway below. Remember to offer your trick-or-treaters a fruity treat they will love with Welch's Halloween Fruit Snacks (available for a limited time). They are fun, festive and Halloweeny. 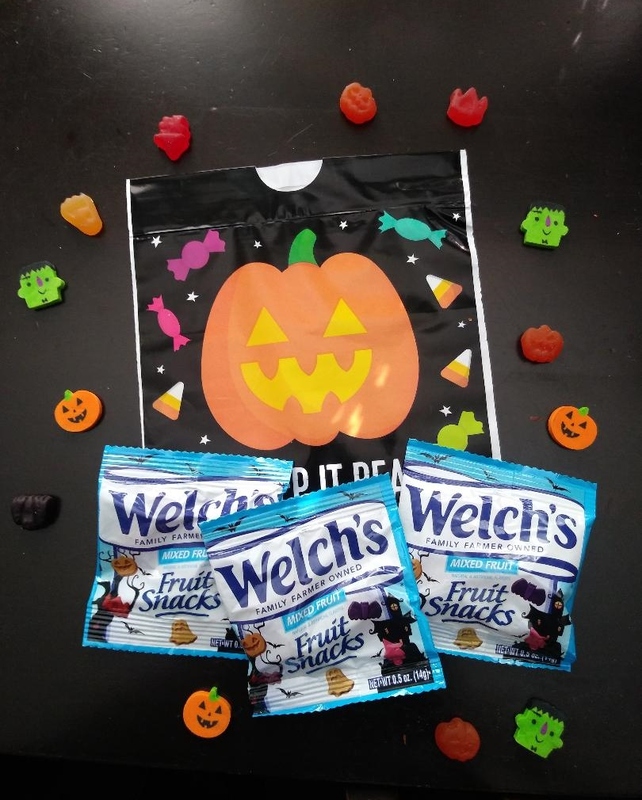 The delicious treats are the classic Welch's fruit snacks made with real fruit yet in fun Halloween shapes. Enter to win three (3) boxes of 10-count Welch’s Mixed Fruit Snacks by using the rafflecopter form below. Ends October 26, 2018. US only please. Good luck.